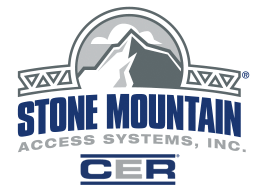 About Stone Mountain Access Systems Inc. Customer Service is critical to everyone at Stone Mountain Access. We believe our customers deserve the best we can give them every time, no exceptions. 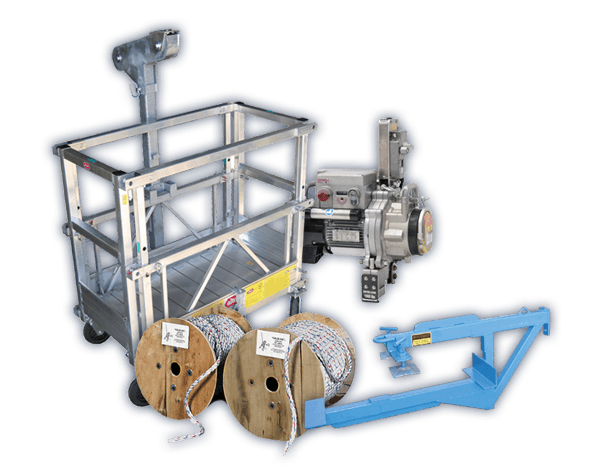 Stone Mountain Access is dedicated to developing better suspended and fixed access solutions for our customers by pursuing new and innovative products and methods. We provide our customers with the best products, service, training, and support in the industry. It’s important that we always maintain a safe and creative work environment which respects diversity, innovation, and hard work. Stone Mountain Access has the knowledge to provide the best, safest, and most innovative solutions to your access challenges. Our sales team has the hands-on experience to work through all levels of access challenges, from the straight forward to the most complex. With the knowledge that comes from our experience, the team at Stone Mountain Access will work with you to find the safest solutions to all your access needs. Our mechanics and rigging crews are trained to be the safest in the industry. Our service team is trained to comply with or exceed all industry and OSHA standards. The mechanics at Stone Mountain Access are certified by Sky Climber, Tractel, and Power Climber. When a hoist is maintained to the standards of Stone Mountain Access, it looks and performs like new.